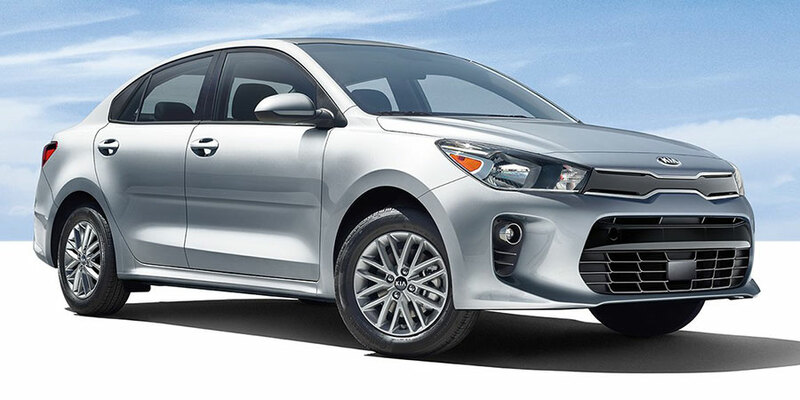 The used Kia Rio is an absolute bargain – but, with its refined cabin and high-tech convenience features, it feels like so much more. What do you need to know before you test-drive this subcompact favorite? Check out our buying guide to find out. Comfort: The modern Kia Rio is more accommodating than ever, with soft, supportive seating and high-quality materials throughout. In terms of luxury, it’s a cut above segment competitors – it even offers high-end features like leather upholstery and heated front seats. Technology & Convenience: Depending on the model, you can find the Uvo central infotainment system, which includes a touchscreen interface and voice controls. It’s easy to use, and it even offers smartphone integration features like hands-free calling and music streaming. Safety: This feisty subcompact has your back – literally, because, with the rearview camera, you can spot any problematic obstacles before you back out of a tight spot. All models from this generation come standard with anti-lock brakes and stability and traction control, providing optimal driver control on rainy streets. Performance: Compared to previous models, this Rio is more powerful and fuel-efficient. It delivers everything you could want from a commuter vehicle – smooth ride, peppy power, and penny-pinching fuel economy. Comfort: Inside, you’ll find handsome materials and cushy seating. The second-generation Rio might be budget-friendly, but it never shorts you on comfort. Technology & Convenience: This model includes Bluetooth connectivity, giving you the power to stream music from devices. CD players also do their part in keeping you entertained on the go. Safety: All models come standard with front side-impact and full-length side curtain airbags to protect you during a collision. Throughout this generation, anti-lock brakes were optional for some Rio models, so make sure you check your used model’s features list for this important anti-skid technology. Rio drivers love how much bang you get for your buck. Whether you choose the sedan or four-door hatchback body style, you’re getting a great deal on a modern, comfortable car. Newer models have all the connectivity features you crave, making it easy to stay connected as you make your way through stop-and-go traffic. Moreover, the Rio is comfortable – both inside and on the road, with its smooth, refined ride. 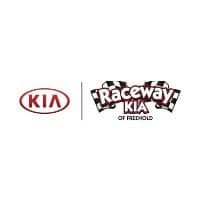 As you test-drive used Kia Rios, you’ll notice that they vary a bit from year to year. For 2010, Kia added a lot of new features, including Bluetooth connectivity – a must-have for technophiles. That same year, anti-lock brakes became an option for the Kia LX. Look for this important safety technology before you make a final purchase. 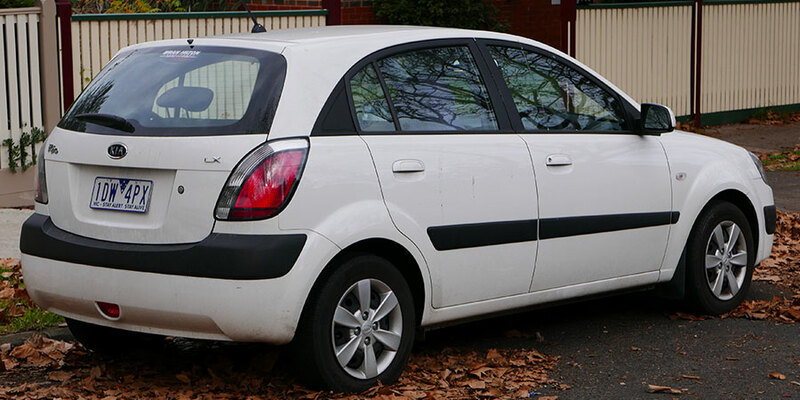 If you come across a used Kia Rio from the first generation (2001-2005), proceed with caution. Although they may be quite inexpensive, these models aren’t on the same level as those that came later. They offer limited comfort and convenience features, and, on the road, they’re not as smooth and refined as the modern Rio.